The title of this post is an oblique George Formby reference, no prizes given for the correct answer however. I’m sitting on a bench by a fairly substantial pond (which may be a wide, slow moving, part of a brook—it’s not easy to tell) watching the ducks which woke me some hours ago. This happens a lot when camping I’m discovering, the hardened adventurers both have earplugs. I’ve been dealing with this normally by enjoying the lush scenery most of our campsites have provided, getting up when I wake and then going for a run along the seafront. Here though, we’re too far inland to sea the sea, the fields are too muddy and I’m not barmy enough to run down an A road just yet. So, I’ve showered in the wild west style facilities (they’re both deliberately themed that way and of about the same standard) and come to read my book by the pond. 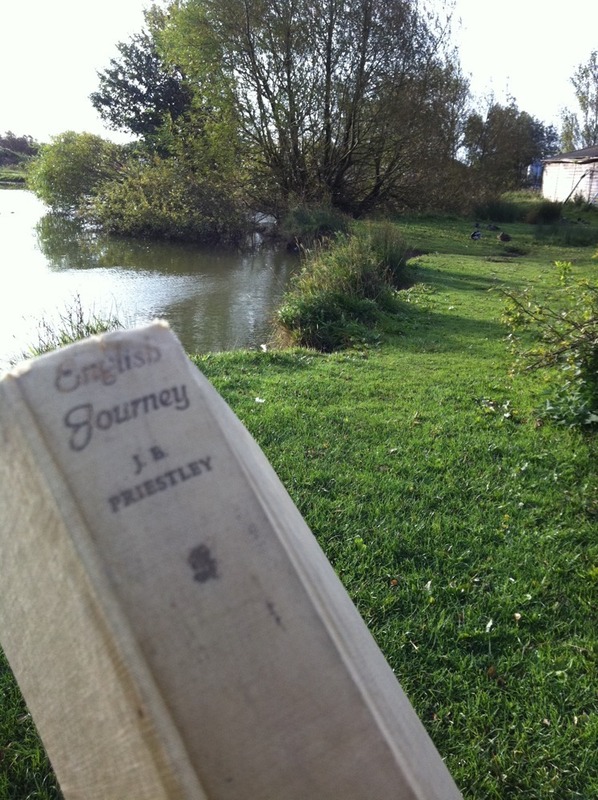 Today is our last English pier, our last seven are in Wales so I feel bad I’ve not quite finished JB Priestley’s An English Journey. My copy has become more of a totem than a useful object, there’s precious little opportunity to read on the trip, I’ve been carrying it with me everywhere though and along with a new affectation of touching all craven images of Elvis we encounter it’s keeping me in some sort of routine.